The Iranian regime is struggling almost daily to fight against losses happening on multiple fronts impacting its grip on power and ability to continue controlling its own people. The reeling economy has been fodder for opposition demonstrations that have steadily spread across the country and fueled a broad range of Iranian society to openly criticize even the regime’s top mullah, Ali Khamenei, in acts of brazen defiance unthinkable just a few years ago. The re-imposition of crippling economic sanctions by the U.S. with another wave of sanctions aimed directly at the regime’s oil industry due to begin in a few months have stripped away the veneer of invincibility the mullahs in Tehran have sought to carefully craft over the years. But besides the kinds of headline-grabbing actions and repercussions affecting the regime, smaller and less noticeable events are having just as deep an effect on the long-term plans of the mullahs. One of those smaller, but significant acts was the decision by social media companies such as Twitter and Facebook to eliminate false front profiles being used in support of Iranian regime messaging. Much of the heavy lifting and research on the regime’s cyber activities came from the U.S.-based cybersecurity firm FireEye, which identified a network of social media accounts being fed postings and key messages from Iranian-controlled accounts that in turn spread them through fake accounts and profiles. Much of the recent activity was intended to take on the patina of liberal and progressive users railing at the Trump administration’s decision to pull out of the Iran nuclear deal and re-impose economic sanctions. Twitter, Facebook and other tech companies promptly erased the fake Iranian accounts which earned a predictable rebuke from Iran’s foreign minister Mohammad Javad Zarif who made the claim that “real” Iranians were being censored by the actions. “Hello @Jack. 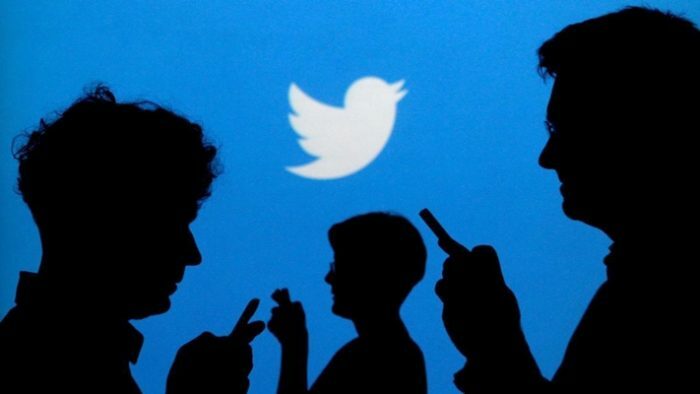 Twitter has shuttered accounts of real Iranians, (including) TV presenters & students, for supposedly being part of an ‘influence op’,” Zarif said in a tweet, addressing Twitter CEO Jack Dorsey, according to Reuters. “How about looking at actual bots in (the Albanian capital of) Tirana used to prop up ‘regime change’ propaganda spewed out of (Washington) DC? #YouAreBots,” Zarif said. Iranian controlled media accused Israel, Saudi Arabia, and exiled opposition groups, including the Mujahideen el-Khalq (MEK) which has refugees relocated to Albania from Iraq after being attacked by Iranian agents, of being behind social media campaigns calling for the overthrow of the theocratic regime. The claim that the MEK operates troll farms in a similar manner to the Iranian cyber operations is laughable considering how the Iranian regime operates its own version of China’s Great Cyber Wall blocking almost all access by Iranians to social media and the outside world. Iranian citizens looking to circumvent the regime’s censorship have gotten creative in using VPNs, misdirected IP addresses and other techniques to access the outside world. The regime put on a full-court press in the media in trying to discredit the efforts by Iranian opposition groups to spread news about what’s happening inside Iran to the rest of the world, including smuggled video and pictures of protests inside the secretive country. It’s no wonder Zarif and other regime officials are scrambling to try and shut down opposition news efforts since it breaks the veil of silence and censorship the mullahs have worked so hard to maintain in Iran. But fighting a losing battle in social media is not the only censorship activity the regime engages in. Iran’s top prosecutor also ordered the closure of a newspaper that has been critical of the regime of late on charges it was “insulting” Shia Islam. Mohammad Jafar Montazeri ordered the shutting down of Sedayeh Eslahat for “desecrating” the family of Prophet Muhammad’s grandson, Imam Hussein, the Fars news agency reported on Friday. The article that caused offence was about a female-to-male gender reassignment surgery, according to The Associated Press, which cited Iranian media reports. Iran is ranked 164th out of 180 countries in Reporters Without Borders’ (RSF) press freedom index. In August, Iranian courts jailed seven journalists and ordered them to be flogged publicly over their coverage of protests by the Dervish minority. The Committee to Protect Journalists said the “horrifying sentences laid bare Iranian authorities’ depraved attitude toward journalists”. But these efforts to muzzle social media and news media are only reinforcing the belief within Iran that the days of unbridled control of the country by the mullahs may finally be coming to a critical juncture. Mohammad Hanif Jazayeri, editor of Free Iran – an anti-government organization, said current protests within Iran are now directly challenging authority in the country. He added: “While the protests began initially over the dire economic situation and mismanagement, the chants quickly turned political. Slogans such as ‘leave Syria alone, think of us instead’ undermine the regime’s national strategy, while chants of ‘death to the dictator’ directly challenge the Supreme Leader’s authority.” “Once an unimaginable sight, today chants of ‘death to Khamenei’, the leader and ‘death to Rouhani’ the President, are now the norm in protests of all sizes,” he said according to the Daily Star. Predictably the Iran lobby dutifully carried Zarif’s messaging about the MEK and opposition social media accounts by posting an editorial in Al- Jazeera making the same charge almost word-for-word. Trita Parsi, head of the National Iranian American Council, Azadeh Moaveni, a fellow at progressive group New America, and Marc Owen Jones from Exeter University, contributed to the piece in a sign the regime was mobilizing all hands-on deck to combat the growing effectiveness of the Iranian opposition efforts to keep the world informed about regime activities.